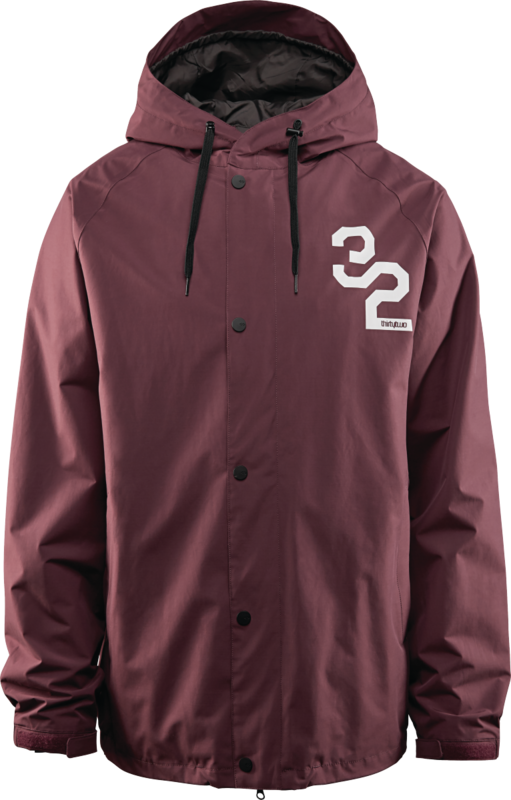 This coaches jacket inspired look from the Thirtytwo Grasser jacket give it a unique look on the mountain that will be sure to turn heads. Simple and clean, it's still packed with tech features that keep you dry on the mountain. The 32 Repel 10k 2-Layer Shell, Fully taped seams, and 32 Lining System will keep the wet out. You'll find the essential Quick Stash pocket effortlessly give you access to your media devices.